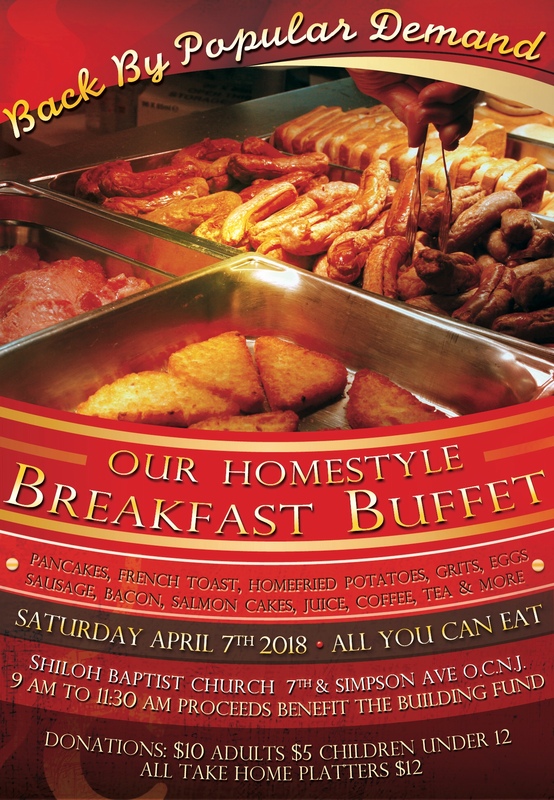 Back by popular demand — Shiloh Baptist Church of Ocean City’s homestyle breakfast buffet returns on Saturday, April 7, 2018! Come to Shiloh Baptist Church located 7th and Simpson for an all-you-can-eat buffet. Entry is $10 for adults, $5 for children under 12. And those wanting take home platters can pay $12. All proceeds benefit Shiloh’s Building Fund. What kind of delicious offerings can you expect at our feast? 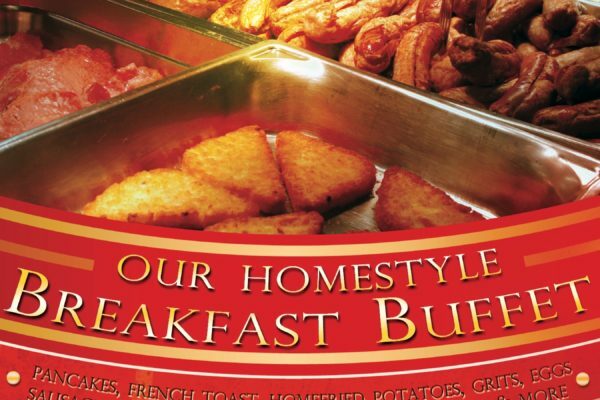 Well we’ve got pancakes, French toast, home fried potatoes, grits, eggs, sausage, bacon, salmon cakes, juice, coffee, tea and so much more!